I started putting bows and hair ties in my daughter’s hair from the minute she had enough hair to make a tiny little antennae ponytail! 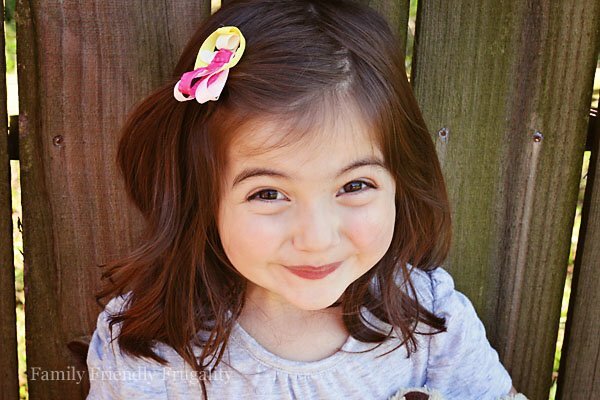 Lizzie LOVES wearing bows and hair ties now, and I really think it’s because we started so early. Big bows, small bows, crazy bows, tiny barrettes, etc. We’ve never tried bows quite like these though! I think we’re sold! 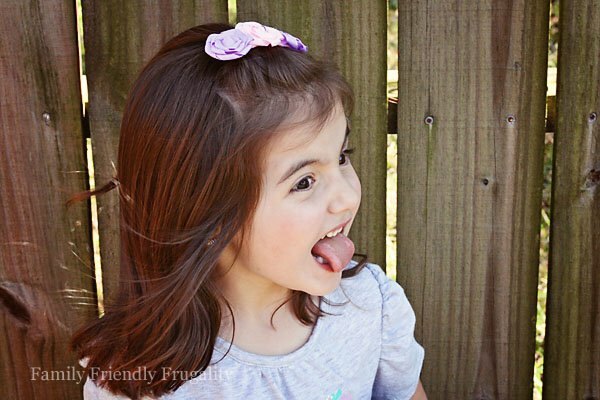 Arielle’s Den makes adorable boutique hair bows, clips and headbands and we were lucky enough to score a few to review! First off, we have the lovely Aurora! 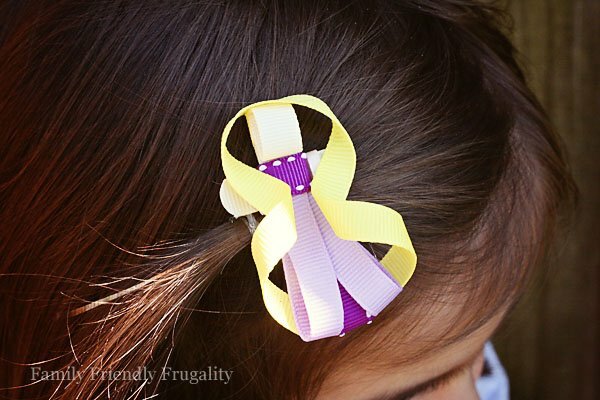 I just love how crafty people can get with ribbon. I always joke that I could sew a gorgeous gown with lace and elaborate buttons, but ask me to make a simple bow and I hot glue the ribbon to my forehead. This bow is just so pretty! It’s on an easy to use clip and it looks great in Lizzie’s hair. Next up we have probably Lizzie’s favorite princess right now…Rapunzel! I love how the long hair isn’t just left flowing (I’d be nervous about the ribbon fraying!). It’s such a pretty little clip and it’s very clear it’s Rapunzel! 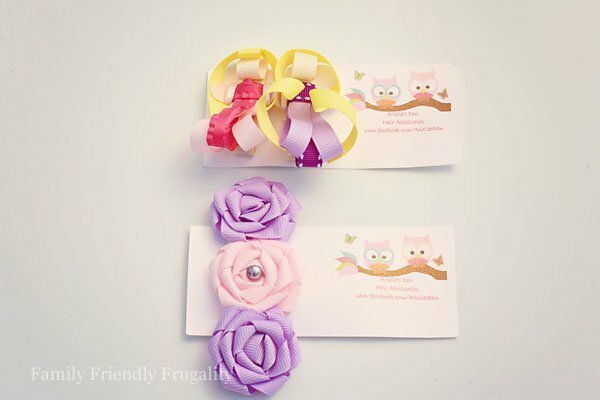 The three rosette clip is just precious. 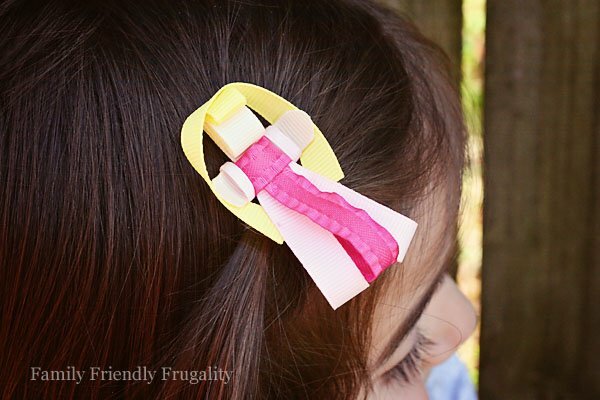 The clip is actually fairly small, so your little girl does not need a ton of hair to hold it in place. I like that it’s something a bit different from our usual big ol’ Texas bows. It’s very pretty and makes a big statement! You can check out Arielle’s Den on Facebook. 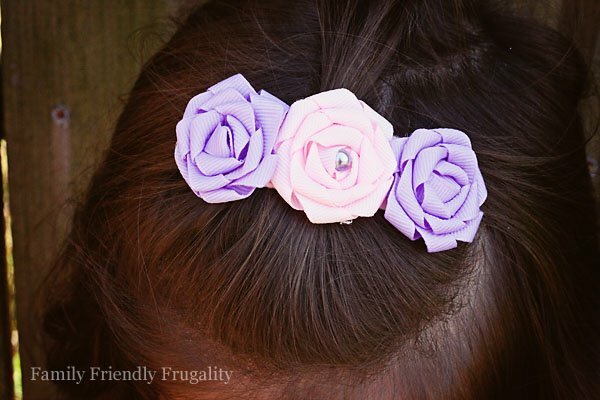 Barb creates Hair Bows, Fabric Headbands, Bottle Caps and Custom Created Hair Clips and Photography Props! She posts already finished designs that you can message her to claim or she also makes custom designs. 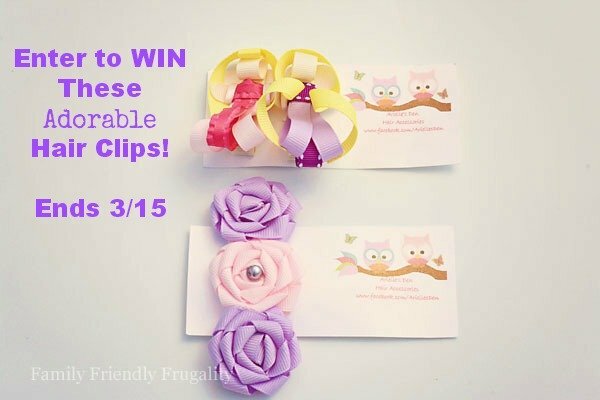 Would you like to win the clips pictured above? 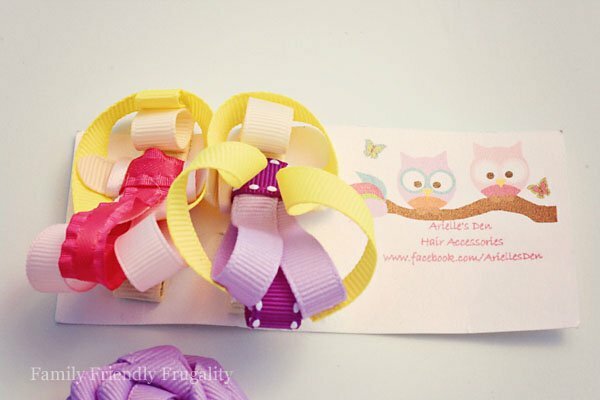 Arielle’s Den has graciously offered to send one FFF reader the 3 hair clips pictured above! This giveaway will end on 3/15/13. Disclaimer: I received hair clips to facilitate my review free of charge. All opinions are my own. This giveaway is not affiliated with Facebook. The prize will be provided by Arielle’s Den. The winner will be notified after the giveaway and will have 48 hours to claim their prize. If after 48 hours they have not claimed their prize, it will be given to another participant. 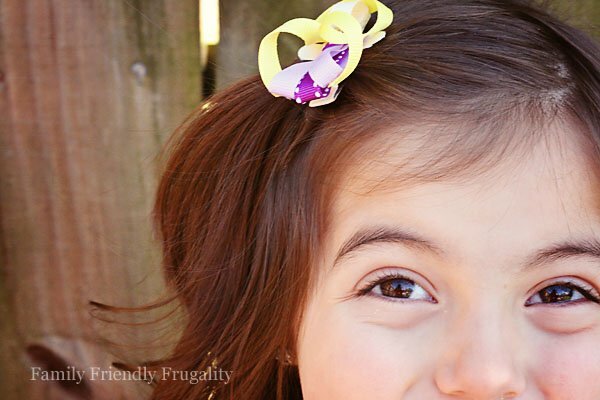 Family Friendly Frugality is not responsible for prize fulfillment. 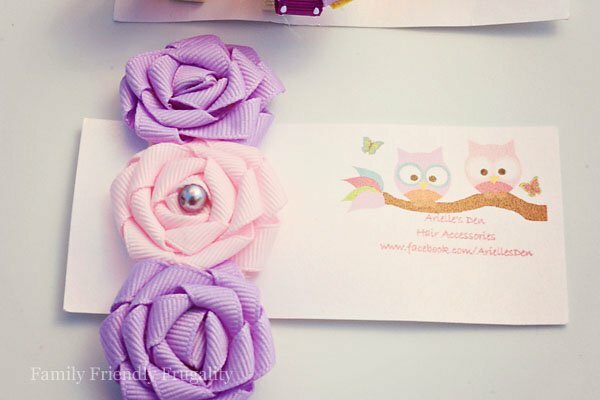 how cute… I love that rosette clip!